Kanwal’s favorite experience from the project so far has been participating in the Danish Embassy’s “Innovative Denmark” event, where she showed visitors how to do traditional stitches and shared her skills. “It has really helped me in raising my confidence,” she says. 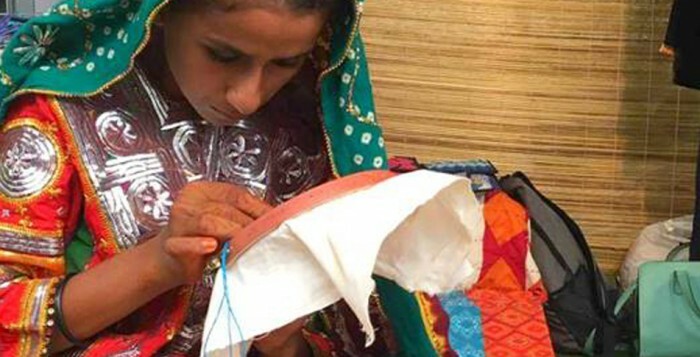 This project, which is supported by the Danish Centre for Arts and Culture and the Danish Embassy in Pakistan, is supporting artisans like Kanwal to enhance their opportunities and protect themselves from such financial shocks and is empowering them to combat poverty for themselves and their families. 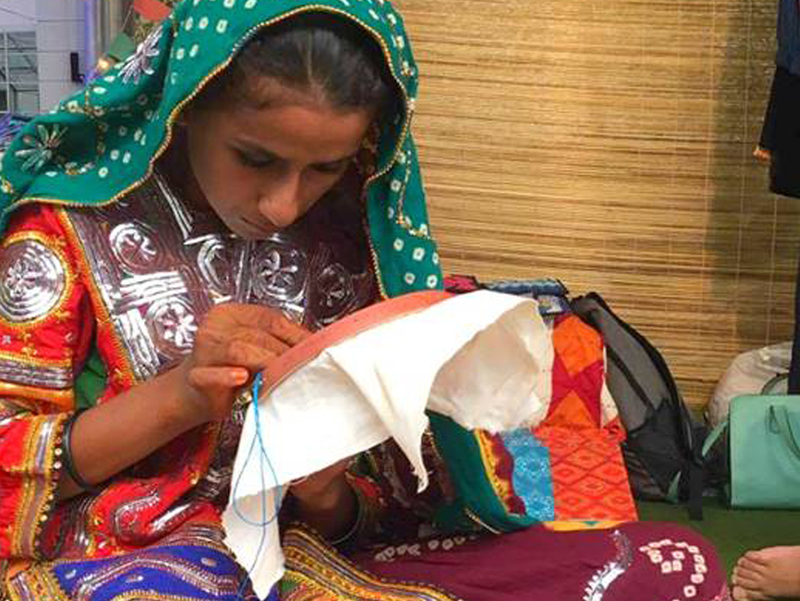 Under the project, rural artisans are working in collaboration with design students of renown design institutes in Karachi, Pakistan, to learn contemporary designs and stitching techniques to cater to the trending market demands as well.